Good news for football lovers as EA Sports develop a game that will bring the stadium to your phone. FIFA World Cup is a mobile game which garnered compliments from different gamers with its exciting modes and unique style. It offers players the ability to create their own team and train with football stars in a virtual world so as to play for a World Cup. Instead of trying this on the small screen of your Android devices, you might want to play FIFA World Cup on PC for better graphics and wider monitor. To make the most out of this game, check out the application below. 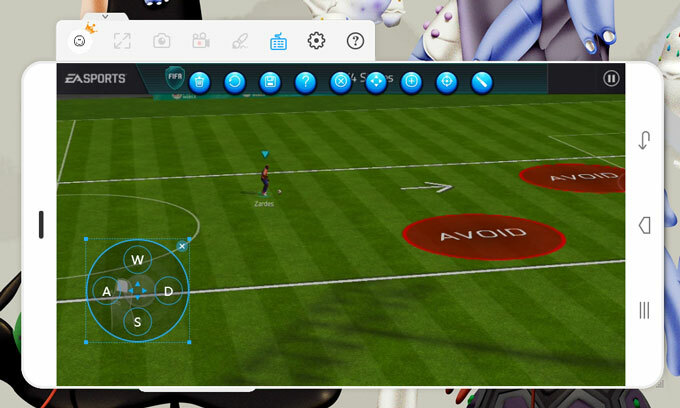 The best way to send your mobile gameplay to computer is through the use of an application called ApowerMirror. This is a professional screen mirroring program that works perfectly on any Android devices running 5.0 or later and supports various Android units like Huawei, Samsung, HTC, LG, and Xiaomi. It can stream pictures, videos, music, and all games installed on your phone on a high quality and without a lag. The app has other functions that are beneficial for gamers. For instance, it allows you to record your screen as long as you want and directly save it on your computer. Moreover, there is a “Game Keyboard” icon that you can click on so that you may play using your keyboard. 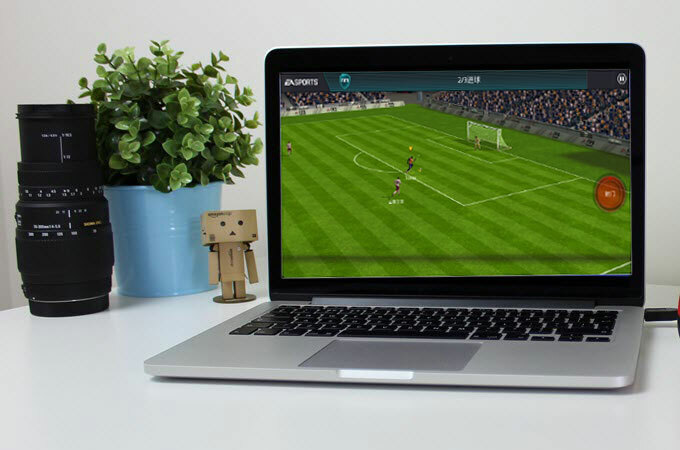 Read along and the follow the steps that you need to play FIFA World Cup on computer. First off, download and install ApowerMirror on your computer and Android devices. Launch the program once installation is done. Next, connect your phone with a USB cable. 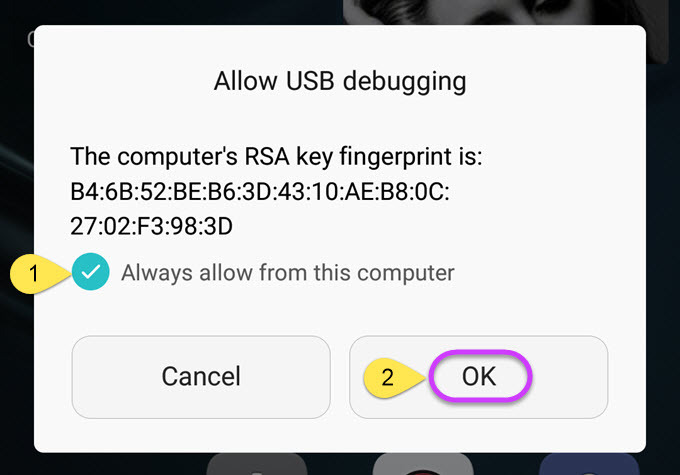 Don’t forget to enable the USB debugging mode and click the “Start Now” button to established successful connection. If you want to connect wirelessly, run the mobile app and tap the M blue button. From the detected devices, select your computer and hit “Phone Screen Mirroring”. Open FIFA World Cup on your phone and enjoy playing. To add the keyboard feature, tap the keyboard icon from the side bar and choose from the controls that you want. 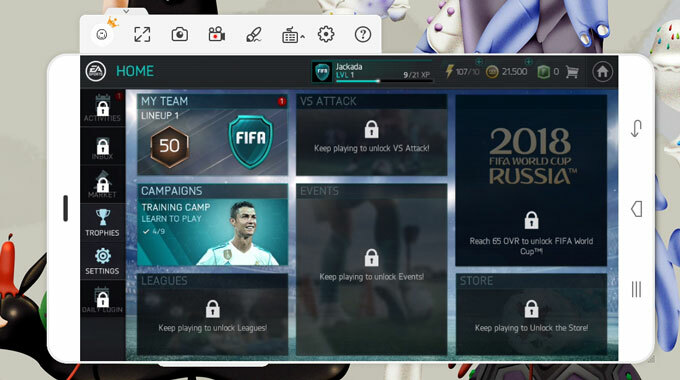 It’s not enough to know how to play FIFA World Cup on PC for comfort and convenience. You still need to equip yourself with proper knowledge on how the game works. Here are some tips and tricks that might help you in your journey to becoming the next football superstar. Upgrade your team. As you start the game, you only need 11 athletes that will perform different tasks on the field. You must focus on these positions to assign the suitable player and refrain yourself from changing line ups every now and then. If you have enough coins to buy a better player, you can get one from the Market. Play your Daily’s. Oftentimes, we ignore daily events and always go for the major one. However, Daily Warm Ups and Trainings do not only enhance your skills, but they also give rewards like coins, XP, and tokens. It’s like you’re hitting two birds with one stone when you do this. Choose what events to participate. There are many events that you can access once you sign up for the game. Each has corresponding stamina amount. Thus, before engaging in an event, check the rewards that you can get and see if it’s worth the stamina. Join Leagues. Upon entering Level 5, it’s recommendable to join a league. This can be tedious as most are on the max invite limits. So, do not register for one but apply as many as you can. You will find your own league eventually. Learn how the Market works. The “Market” serves a big role on your game as it contains events, players, tokens, trophies, and other items that you will need. If you’re using real money, it’s a must that you know how it works so you can maximize your profit and minimize your expenditures. FIFA World Cup is an enjoyable game but a highly-competitive one. So, to avoid yourself with unnecessary hassle because of your small screen, try ApowerMirror and savor every moment of your play.